Tunisia MAP: Where Is The Revolution Taking Place? Tunisia has been rocked by riots over unemployment and corruption, which culminated today in the ouster of president and strongman Zine El Abidine Ben Ali. With the spotlight suddenly shining on this small African country, some readers are wondering where exactly it is. 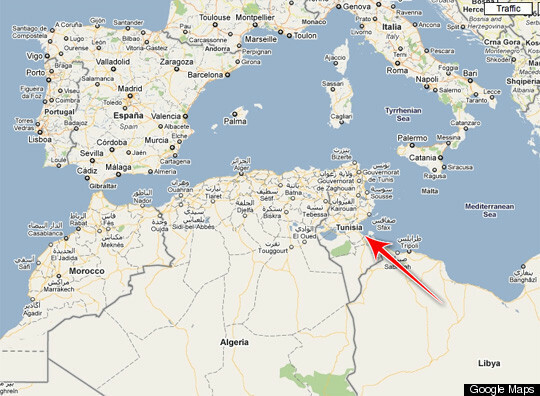 Located south of the Italian peninsula, Tunisia is nestled between Algeria and Libya.